The eastern sun is making its way up over the cliffs as I sit here in peace and solitude, listening to the symphony of the roar of the waves below, in harmony with the chirpiness of the birds above. Where am I? 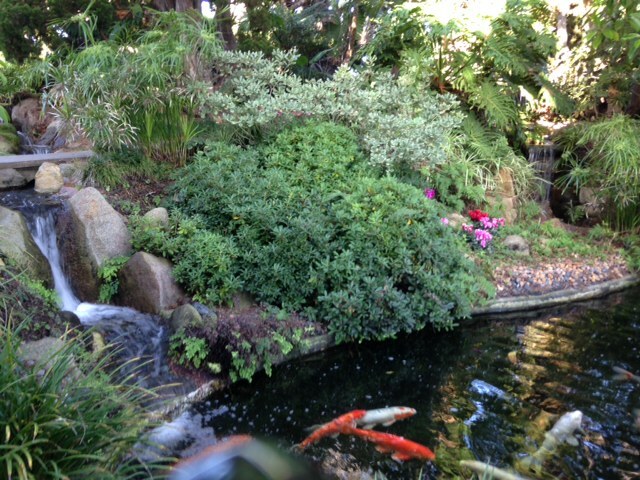 The Meditation Gardens at the Self-Realization Fellowship (SRF) Retreat in Encinitas. Many of you know it as that Ashram by Swami’s Beach. 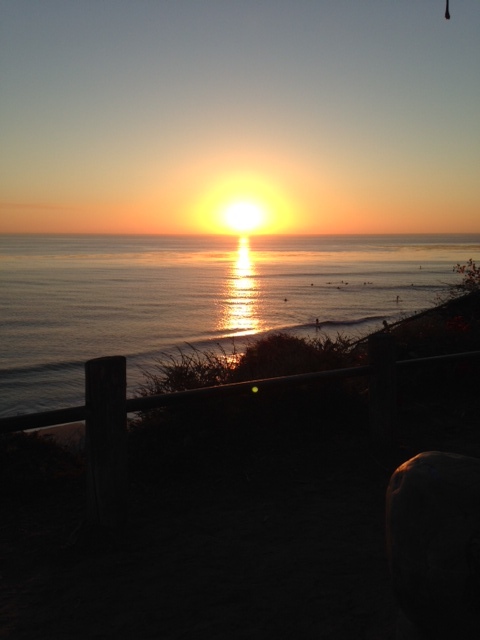 The beach is actually named after Swami Paramahansa Yogananda, who founded the Self-Realization Fellowship in the United States, and whose Hermitage was built for him on these Encinitas cliffs in 1937. Now I can go on and on about his teachings, which I am still learning about, but this new blog of mine is more about my year long adventure towards the golden age of 50! 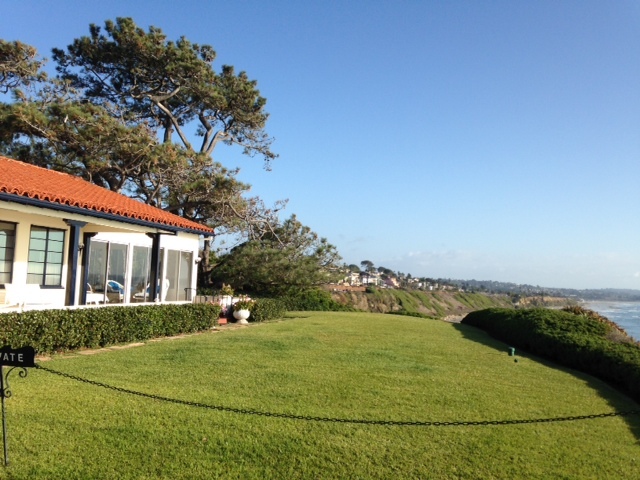 Why did I choose the SRF retreat for my first week? Well, my plan is that each week, leading up to my 50th birthday, to do something that I have never done before. I thought it would be a good start to cleanse my mind and soul. Sure. What did I learn during my very short stay (one overnight visit) — one weekend is not enough. I’m not sure what I thought was going to happen — some sudden enlightening moment where my future is clear to me. Well, that didn’t occur. I did learn that I am not very good at meditation. Okay, after I made the reservation, I was told that they don’t actually teach meditation at the retreat, people who attend already practice. So I quickly got some suggested techniques from friends (thanks Heidi and Gigi). I tried a little at home the week prior – for about 5 minutes worth. Whenever I tried to clear all thoughts, the opposite would happen: Why isn’t that priority package delivered yet? We need to turn in athletic forms! I have to get my punch list done for the Foundation, for the Taste, for the newsletter, for the…I have things to do, why am I just sitting here doing nothing! Trying to meditate got a little stressful. But I will say, that even one night at the SRF Retreat did bring me some peace and relaxation. No television, no emails, no Facebook, no Pinterest, no kids (just kidding…not), no sound. Yes, it was a silent retreat. I guess I didn’t read that memo either. I did try to meditate in my solo and very quiet room, and maybe managed to sit still about 20 minutes. My mind — not that still. I brought my Autobiography of a Yogi book to read, journals to write in, and colored pencils to make drawings (never did draw). And I attended a couple lectures and services, which were very inspirational. What did I get out of the weekend? Confirmation. Listening to the SRF talks, it was made clear to me that some of the beliefs I currently hold are worthwhile: that we direct our own roles in life, that there is good in all people, what happens is for a reason, don’t regret things because choices you make were what was best for you at the time, don’t lie because that exerts negative energy, and that we create our own spirituality. No matter your race, religion, sexual preferences (mine is yes), we are all the same inside. Also, don’t take life so seriously…sometimes we live in a drama, but most of the time life is a comedy. I may not know exactly what I want, but maybe it’s selfish for me to think about what “I” want. I should accept whatever opens up in my life, and accept it all with an open mind and spirit. I choose to be positive, just like my blood type. I do know that all of you play a role in my life…and during this time, let’s write a worthwhile script together! I did realize that it will take more than a weekend to really cleanse my mind and soul. I really didn’t intend to get preachy this first week, but my mind and soul is looking forward to a year of firsts. The gong sounds to let retreatants know it is time for meals…there are no clocks in the rooms. As we line up around the buffet table, everyone is quiet. You see, when they say it’s a silent retreat, it means silence during meals too. This was the hardest part of the silent treatment for me. It truly was a seen but not heard atmosphere. I like talking during meals. I wanted to find out the reasons why everyone was here, where were they from, and wasn’t that dish fabulous? Yes, I ate every morsel of my vegetarian meals. And for those of you who know me well, I am far from being a vegetarian. My friend Martin (Green Door Catering) calls it “kind” eating, and the meals at the SRF Retreat were very kind to my taste buds. I went in thinking I would have to force myself to eat the food, like when I was a kid forced to eat steamed carrots and peas. I even smuggled in chocolates, cookies and granola bars, thinking I would be hungry (don’t tell). But I surprised myself as I ate the meals with gusto! I especially enjoyed eating the sweet potato pancakes, and the tofu croquettes served under a delicious creamy yogurt sauce. I would have gone back for seconds, but I wanted to save room for dessert (and those of you who know me really well, know that I look at the dessert menu first). The cranberry cake and the cherry pie with vanilla ice cream were so satisfying, both provided an enjoyable mix of sweet and tart. I ended each meal slowly sipping my hot cup of mint tea…sitting in peace. Self Realization Realization Fellowship Retreat, 215 K Street, Encinitas, CA 92024, 760.753.1811, www.yogananda-srf.org. The Meditation Gardens are open 9:00am to 5:00pm Tuesday through Saturday, and 12:00 noon to 5:00pm Sunday. The Hermitage is open to the public on Sundays from 2:00 to 4:00pm. The SRF Encinitas Temple is located at 939 Second Street, 760.436.7220, www.encinitastemple.org, and conducts Sunday lectures at 9:00am and 11:00am. The Bookstore is located at 1150 South Coast Highway 101, 760.753.5353, is open daily 10:00am to 5:00pm, except Mondays. They’re got some great Christmas items right now.